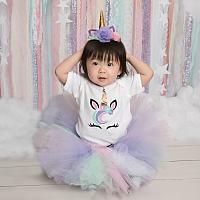 Baby girls unicorn birthday shirt. 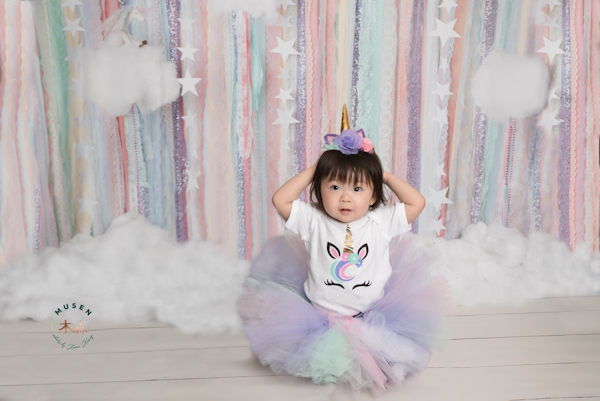 Baby girl's first birthday unicorn bodysuit is made with light pink, lavender, mint, gold and black heat press vinyl. 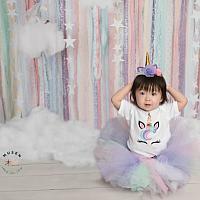 Perfect for unicorn first birthday portraits, cake smash outfit, or birthday gift. 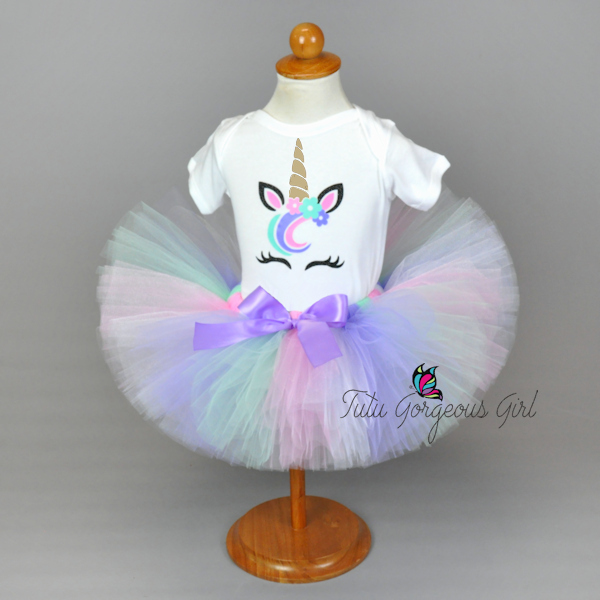 Tutu and unicorn headpiece can be purchased separately (see below for links). Color substitutions are welcome. 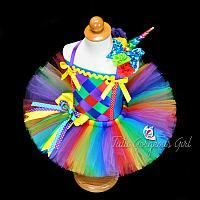 Please contact us to discuss color options. As an additional option a name can be added below the unicorn image. Please leave the correct spelling of the name in your order notes along with the color you would like the name written.